The majority of the text below comes from the booklet 'An Era Of Golf' which was compiled by Peter Gooden in recognition of the jubilee of Swinton Park Golf Club in May 1976. Claremont Golf Club was founded in 1906 as a nine hole course on land around 'Teapot Hall' in Radcliffe Park Road, Salford. From being a nine hole course Claremont gradually increased in size and in 1912 it had twelve holes, and twelve months later had obtained sufficient land to have a full 18 hole course. The golf course covered a wide area from Swinton Park Road, as we know it now, down to Eccles Old Road, at the southern end. On 20th February 1925 the Swinton and Pendlebury Journal had this to say in its local chat column. "The removal of Claremont Golf Club from its present quarters is only a matter of time, and it is quite probable that it will be followed by the opening out of some of the land to building, and the continuation of the new road leading from Claremont Road, into the park. There will be regret that the club has felt itself compelled by insecure tenancy, to find new pastures. The new links will run pretty well alongside the old one in a northerly direction, taking the quaint farmhouse among the trees, which is expected to be the new golf house, as the starting point, and continuing into the field beneath the shadow of Swinton House, now used as a school for crippled children". No history of Claremont Golf Club would be complete without a mention of one of the most incredible happenings in the history of the game. It occurred on Sunday 9th August, 1925, when Mr R. L. Matthews and Mr W. S. Evans both holed their tee shots on the 14th hole. 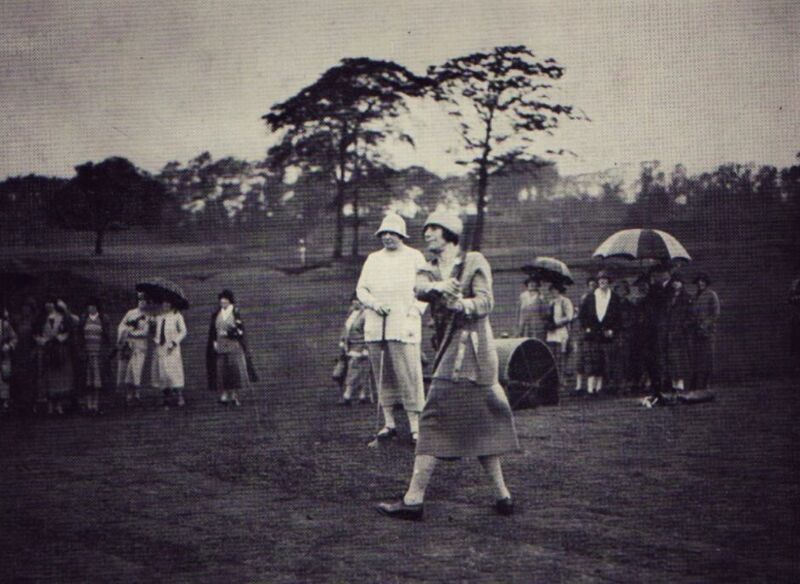 The official opening of Swinton Park Golf Club took place on Wednesday 12th May 1926, in the middle of the general strike. For this reason the following report by 'Adjutant' appeared in the Daily Dispatch on 26th May. "With a new name and a new course, the old Claremont golf club has taken up a new lease of life, and one imagines, commenced an era of new prosperity. 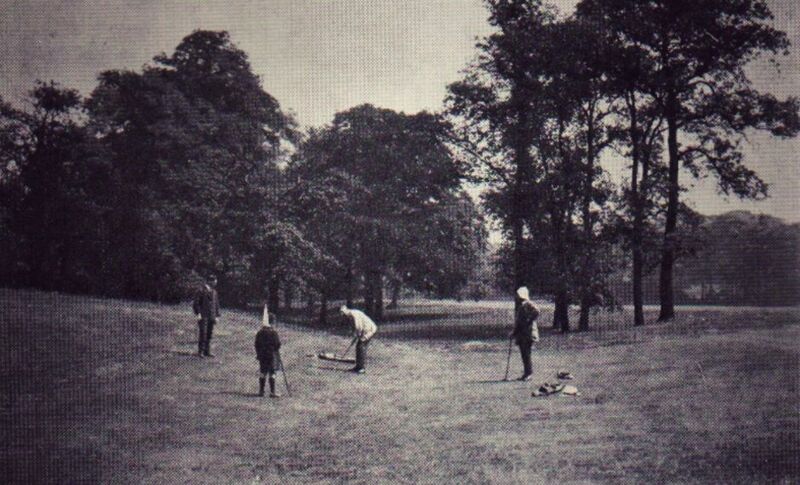 The club is now called Swinton Park, and takes that name from the land upon which the new course has been laid out. I was privileged to take part in the proceedings of the opening day recently, and some idea of the enthusiasm of the members can be gleaned from the fact that, for the first club competition, no fewer than 204 cards were taken out, surely something like a record for a Manchester district club. I was rather struck by the large number of bunkers which have already been constructed. Many clubs laying out new courses leave most of the bunkering for a time until experience has taught where best they shall be placed, but, in this direction, so much work has already been carried out at Swinton Park that the short holes, in particular, are already very closely guarded, and, so far as I could judge, few mistakes have been made in the placing of these bunkers. Although only a few minutes walk from the main Bolton-Manchester road at Irlams-oth-Height, one could almost imagine, on the course, that one was in the heart of the country; certainly the surroundings are very pleasant. I fancy that in a year or two, the Swinton Park club will be able to boast a course which will attract many visitors who will be able to play under conditions which without being strenuous, will provide a capital test of golf". Sunday 9th July 1950, was something of a red-letter day for the club. It had arranged that the 1949 Open Champion A. D. (Bobby) Locke should play over the course, just two days after the Open Championship at Troon. As it turned out, Bobby Locke won the Open again that year and the club by this good fortune had the honour of a playing visit of the current champion. With Locke came Charlie Ward, British Ryder Cup player and holder of the Harry Vardon Trophy, and Ossie Pickworth of Australia. They played two fourball exhibition rounds. George Howard the club's assistant professional teamed up with Locke to beat their opposition by one hole in the morning round, and John Higham and the champion finished all square against the same pair in the afternoon. John Higham the club professional sank a putt for a 4 on the last green to square the match. Correspondents at the time described the course as being in admirable condition, with the smooth richness of the greens being a credit to the greens committee and the ground staff, a point which Locke made special mention of more than once during the day. Although this was of course Locke's first visit to Swinton Park, he soon settled in and after opening with a five at the 467 yards, first hole, he went on to break the course record in the morning round, going out in 35 and covering the back nine in a magnificent 32 for a total of 67, one stroke better than the record set be Tom Collinge in 1934 but on a slightly shorter course. In glorious weather some 2,000 people watched each round and the South African gave a domonstration of every shot in the book before commencing the afternoon round. He concluded the day in the clubhouse with a song with his own accompaniment, on his ukelele. 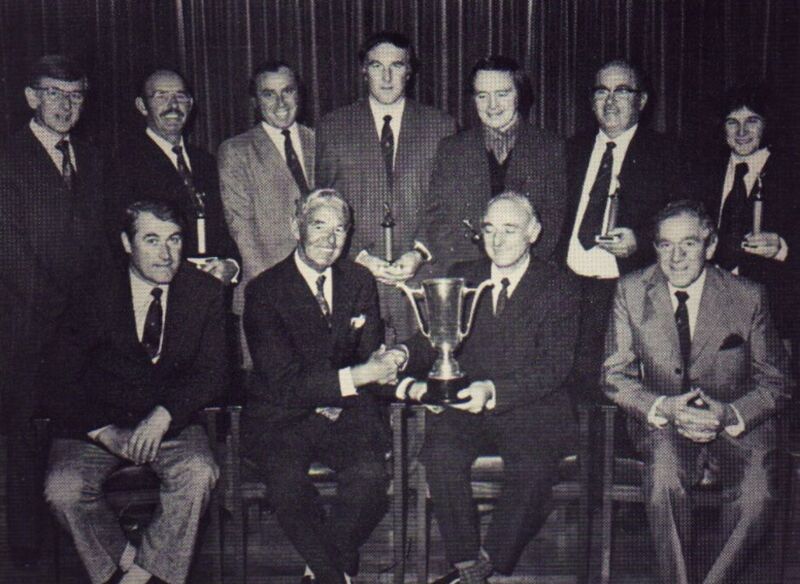 Swinton Park became the champion club in the Greater Manchester area in 1973 in winning the Manchester and District Alliance 'Dunham Forest Trophy'. In the final Swinton Park met Bolton Old Links who were led by Lancashire County Champion Andrew Chandler, and a memorable encounter it turned out to be. With five matches completed Swinton Park had won two but lost three, of the two remaining matches Lawrence Madden was engaged in a sudden-death playoff against Bolton player Joe Edge and Allan Gillies was leading against Bolton professional Mike Beech. The 19th hole in the playoff was halved and it was at this point it was learned that Allan Gillies had won his match making the overall score 3-3, with the fate of the trophy resting on Madden's match. The 20th par three hole was halved in four, both players taking three putts. The 21st was also halved in four but only after Lawrence had made a magnificent recovery shot out of the trees. From the 22nd tee Lawrence put his drive down the centre of the fairway but disaster befell his opponent when he sliced his tee shot into the trees and had no alternative but to declare his ball unplayable. He dropped out for a penalty stroke but having played a further stroke was still in trouble and conceded the game. This was a most unfortunate end to a very exciting day's golf which the many spectators present will remember for a long time.